PALEO festival has now become a huge success and proudly taking its position as the biggest festival in Switzerland drawing in crowds from all over the world. Many huge names have performed here from the well-known to unsigned, giving a diverse choice of music genres, including some of the more abstract. ‘Paleo’ now boasts 6 main stages. ‘Paleo’ offers a multicultural choice of food stalls including local specialties and locally sourced foods to suit all your requirements. It’s a very family friendly festival, taking care of all ages with a wide variety of activities, WiFi points and excellent facilities. Great care has gone into creating a ‘home from home’ kind of feeling, also they care for the environment in the locality and on site, providing refuse bags for all types of recycling, local transport, parking facilities that are guarded 24 hours. 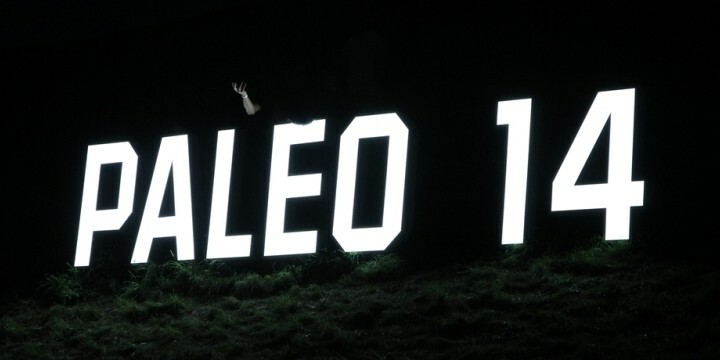 Everyone at Paleo festival work hard to ensure that offering a worry free environment is at the top of the list, offering an atmosphere that welcomes all who attend! As illustrated in the pictures below, we aim to give you an idea how everyone on the site are making final preparations for the grand opening on the 22nd, making sure every detail is taken care of. Some photo’s included are of the acts during the day and night of the 22nd. A great vibe is already apparent come rain of shine everyone is happy to be here, this is just the beginning, the’re still 5 days of partying remaining! The atmosphere was electric with ‘THIRTY SECONDS TO MARS‘. Capturing the atmosphere of the crowds as they enjoy the headline acts! This entry was posted in Festival reviews and tagged cats on trees, JAKE BUGG, M.I.A, MUSIC FESTIVAL, PALEO 2014, PALEO festival. Bookmark the permalink.